Anxiety is feeling like your friends don’t like you when you haven’t seen them for a while. Depression is not going out when you have the choice to because you can’t face getting out of bed. Anxiety is getting angry and frustrated when having to interact with others. Depression is the crash after a good day when the darkness in your mind decides to come back. 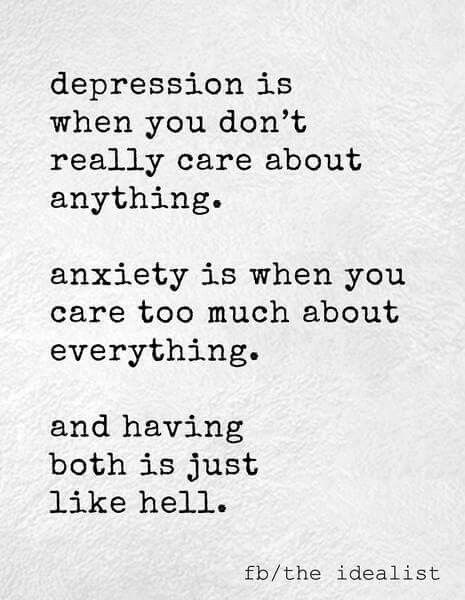 Anxiety is the bad stomach you get when your scared of something that makes you sweat and vomit even when you aren’t ill.
Depression is being unable to stop crying until you become so dehydrated that you have a migraine. Anxiety is the stammer that keeps you quiet when you need to talk to people. Depression is the damage on the inside that makes you damage the outside. Both are the negative voices that speak evil words making you feel unwanted. 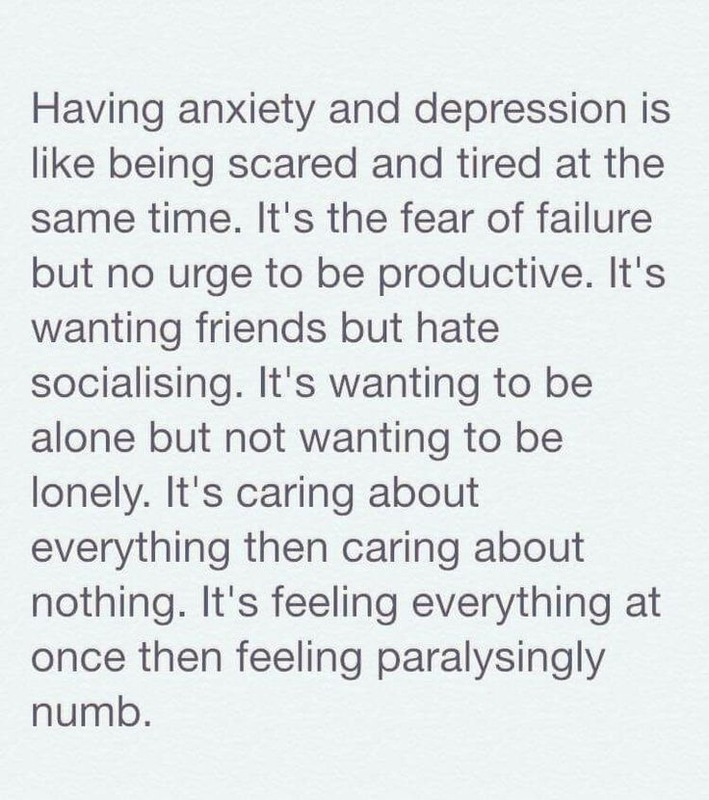 This is how it is for me anyway… everyone who suffers is different. It’s just hard to listen to the positive voices when the evil ones keep screaming.